A Salesforce Developer can able to design the customized applications and also writing the business logic. Here you will learn how to develop the salesforce apps. By using the salesforce, customers can increase the sales and raise the communication by the cloud, service applications etc. here students will learn about the SFDC, cloud computing, APEX classes, data types, logic control statements of Apex, data management in SFDC, debugging and exception handling in Apex, data manipulation language and so on. People who are seeking for the best salesforce development certification online courses. Our panel of experts selected a few advantageous courses from multiple number of salesforce development online courses. The selected salesforce development online courses are listed below. 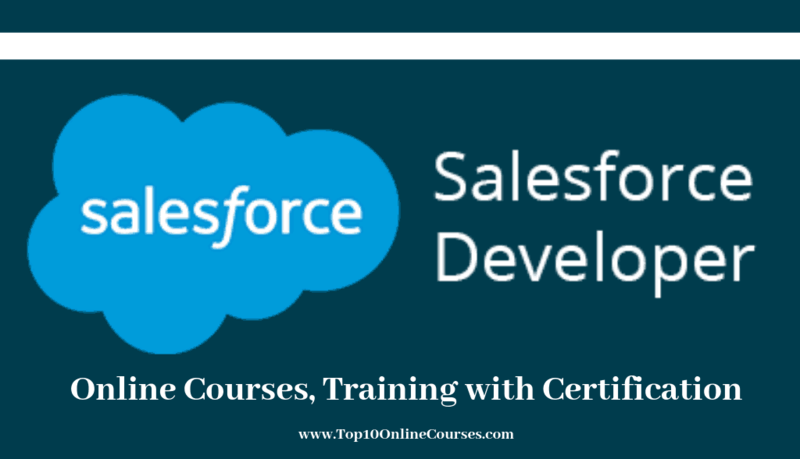 Salesforce Development online course was offered by Deepika Khanna. Total 6k+ students are enrolled to learn this online course. After this course you are able to program in apex same as professionals. Students will learn about the basics of apex keywords, loops, interfaces, if else statement, variables, inheritance etc. Instructor will explain the advanced concepts like salesforce exceptions, test classes, salesforce object search language (SOSL), triggers, salesforce object query language (SOQL) and so on. This online course includes nine downloadable videos, two articles, certificate of completion and 7.5 hours demand videos with full time access. Students will learn about variables, data types in the salesforce and you will also know how to create the developer’s account. Deepika will explain the statements of decision control. You will also learn about the different types of loops in the salesforce, infinite loop, nested for loop in salesforce, break statement in the for loop, do while and while loops in apex and so on. Instructor will explain the object oriented topics in apex like static and non static variables, methods of static and non static, constructors in apex, collections in apex, inheritance in apex, list methods in the apex, sorting list in apex, map and set in salesforce etc. You will learn about the exceptions in the salesforce, DML exception methods in salesforce, delete and undelete the DML operations, insert trigger, update trigger and so on. You will understand that how to handle the exceptions in the salesforce like query exception, sobject exception. From this online course you will prepare for the salesforce dev 501 certification exam. Edureka’s Salesforce Developer certification online course will help you to become an expert in writing the business logic and also customization of applications. 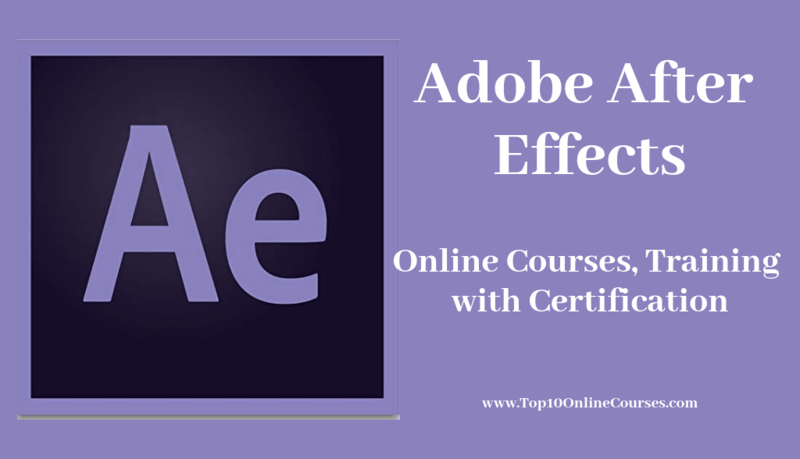 Here 2K+ students are enrolled to learn this online course. Here you will learn how to customize the applications by using the visualforce user interface framework and apex code on the force.com platform. They will provide you a certificate of completion with lifetime access. All the trainers of this online course are well qualified. Participants of this online course will develop and deploy the basic business logics. This online course will help the students to prepare for salesforce certification exam. Instructors will explain the SFDC and cloud computing concepts like deployment models and services in the cloud, market situation, cloud ownership, metadata driven architecture, application development tools of salesforce, multi tenant architecture, IT benefits etc. You will learn about the fields and custom object topics like custom fields, standard objects, relationship fields, formula fields, workflows, junction objects etc. Students will understand that how to manage the data in SFDC by knowing about the data export wizard, import data, export data, data loader and data import wizard. From apex programming you will learn the concepts like apex governor limits, apex development process, apex development tools, developer console and IDE, apex classes, triggers etc. You will learn about the primitive data types, apex operators, apex control statements, sobject data types, collections data types, enum data types, execution of apex programs and so on. Students will also understand about the design strategies, visualforce pages, apex transition, exception handling etc. This online course is for the salesforce admins who wants to improve their knowledge about the salesforce world. Here 4k+ candidates are enrolled to learn this online course. Students will learn how to combine the salesforce applications with the external applications. You will understand how to expose the methods of apex as the SOAP web services. Deepika Khanna is the creator of this online course. Students will learn how to create the custom applications with the apex. This online course includes the certificate of completion with full time access, six articles, seven downloadable videos and four hours demand video. You will learn the procedure for creating the developer accounts and also know how to create the custom objects for the conference applications. You will come to know about the salesforce APIs and junction objects in salesforce. Students will learn how to create the junction object in the salesforce. And also know how to create the tabs for speaker objects, session objects and know how to group the tabs together in the applications to access easily. You will understand how to create the apex class for sending the email to the speaker enrolled in the session. Instructor will explain about SOQL statements in the apex and also explain how to write the SOQL statements. You people are able to understand difference between the methods of database and DML statements. Salesforce platform Developer certification online course was created by Simplilearn. Instructors of this online course are well qualified and also having at least ten years of experience. Here you will learn all the important topics and also the salesforce components. Students will understand that how to develop the custom applications in the salesforce by using the visualforce user interface framework and apex programming code. Instructors will explain how to improve the application capabilities by using the appexchange, debugging framework, interface layers. Instructors will provide the certificate of completion with full time access. You will understand the prevention of security vulnerabilities in visualforce program and apex program. Here 600+ students are enrolled to learn this online course. You are able to manage and design the user interface, business logics for custom applications and data models. Students will understand about the types of debugging logs, business data and deploying the metadata. Instructors will explain all the concepts of Apex like apex constants, variables, apex data types, expressions, apex classes, interfaces, triggers, apex trigger patterns for efficient data, apex control flow statements processing and so on. You will learn about the relationships of objects and SOQL SOSL concepts like SOQL syntax, SOQL aggregate, optional clause etc. Students will learn about exception handling, visualforce controllers, custom controllers, custom extensions etc. You will learn that how to test the apex and you will come to know about the visualforce pages, deployment, lightning component framework, DML and debugging and so on. Salesforce Developer I certification online course was created by Walid EI Horr. he was a salesforce developer and also an IT professional with 10 years of experience. Here 5K+ candidates are enrolled their details to learn this online course. Here students can understand all the fundamentals of salesforce. Students will improve their knowledge about the object oriented programming. Instructor will explain the different apex data types and you people will also understand how to write the visual force pages. And you will understand how to use the different deployment tools. This online course includes 52 downloadable videos with full time access, five articles and 14 hours demand videos. Instructor will explain all the concepts of salesforce certified developer I exam. Students will understand all the declarative salesforce tools such as flows, process builder etc. and you will also understand the different development tools like IDE, developer console and so on. You can able to understand that how to write the apex classes and also the triggers. Students can build the programmatic and declarative applications in the force.com platform. From salesforce fundamentals you will understand the concepts like MVC pattern, core CRM objects, common cases of declarative customization, features of heroku platform and so on. You will learn how to manage and model the data and know how to export, import the data into the data environments. And you will also learn about the process automation and logic concepts such as object schema, formula fields, workflow and process, apex variables, constants etc. You will also understand about testing, user interface, development tools and debug. After this online course you will pass the salesforce developer I certified exam. If your perception on this article is positive and if you feel that the instructors are provided you the effective information about this article. If you are interested in learning this, you can select the any course from the above listed courses. 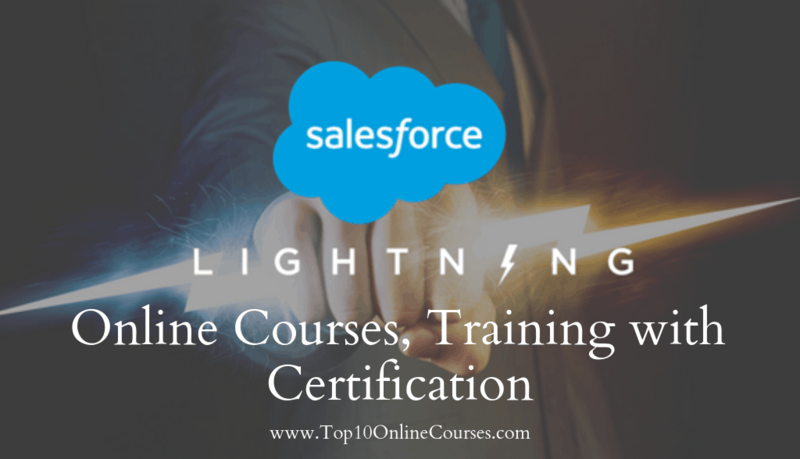 If you learn this you will get the job opportunities like salesforce lightning developer, salesforce-prm developer, salesforce CPQ developer, salesforce business analyst, SFDC developers, salesforce team lead, community cloud salesforce developer and so on. From this online courses you will prepare for the salesforce developer certified exam. Students will get the certificate of completion at the final stage of the course and you can also add this certificate to your resume. If you are satisfied with this article, we are kindly request you to share about this article with your friends, co-workers through whatsapp, facebook, linkedIn.